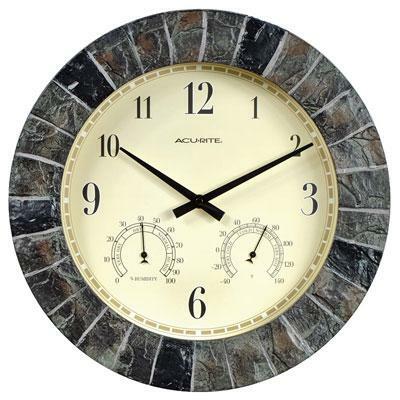 Chaney / AcuRite 14" Indoor or Outdoor Faux Slate Wall Clock features built-in temperature and humidity gauges that allow you to check comfort conditions at a glance. 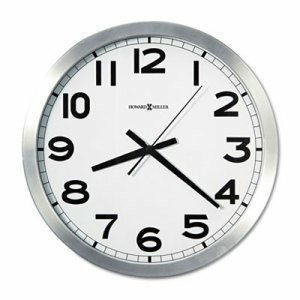 Durable stone replica construction resists the elements and makes this clock combination perfect for any room patio or garden. 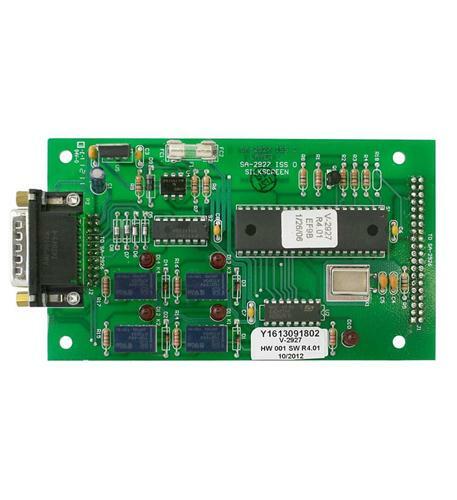 One-year limited warranty This item cannot be shipped to APO/FPO addresses. Please accept our apologies. 12 of the most popular North American birds are featured on this 8 in Audubon Singing Bird Clock framed in Green Matte. Each hour is announced by the beautiful song of that particular bird a different song every hour. One of twelve different North American bird songs announces each hour! Includes 1 year Warranty. 13 inch round coppermetal tiered profile. Black Arabic numbers on a cream dial. 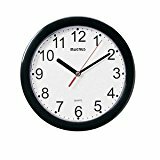 Quartz clock. Thermometer and Hygrometer. Fahrenheit temperature scale. Weather resistant. 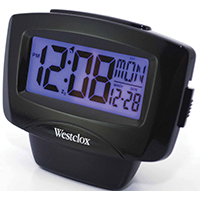 Westclox Alarm Clock with 0.9" LED Plasma Digital Display Alarm with Snooze. This item cannot be shipped to APO/FPO addresses. Please accept our apologies. 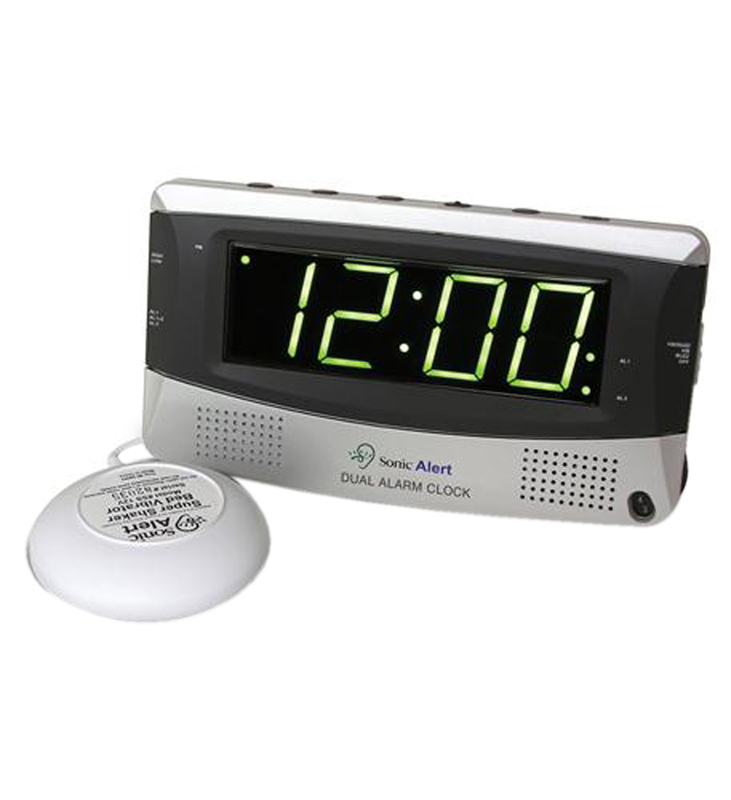 Traditional style meets modern convenience with the Auto daylight-savings� feature, which automatically adjusts for daylight-saving time, avoiding the hassle of manually resetting the clock. Spade hands create a distinctive look. 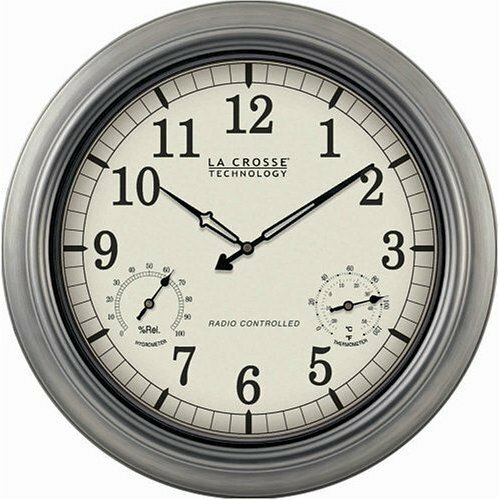 Large clock diameter makes it easy to tell time from a distance. 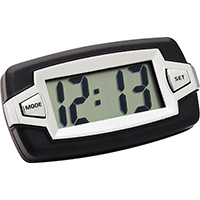 Time Format: Standard; Power Source(s): Requires one AA battery (SOLD SEPARATELY); Movement Type: Quartz; Overall Diameter: 15 1/4". 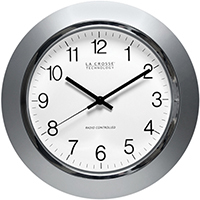 Round Wall Clock, 15-3/4" Round Wall Clock, 15-3/4"
Flat glass crystal and flat rim prevent glare. Large, black Arabic numerals for easy and accurate reading. 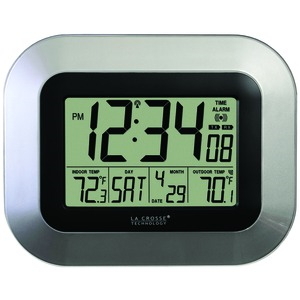 Brushed aluminum metal case offers a clean, modern look. 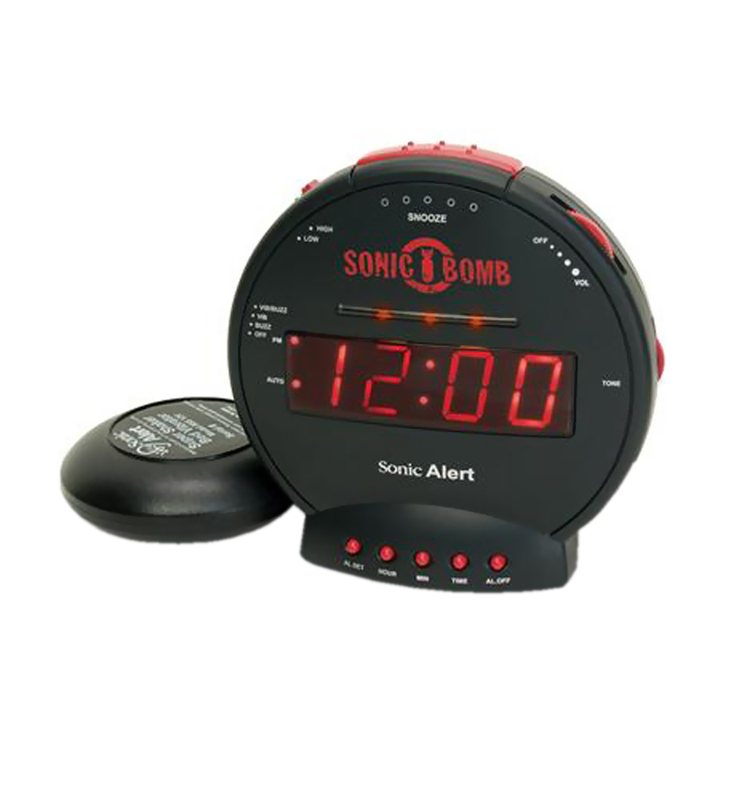 Time Format: Standard; Power Source(s): Requires one AA battery (SOLD SEPARATELY); Movement Type: Quartz; Overall Diameter: 15 3/4". 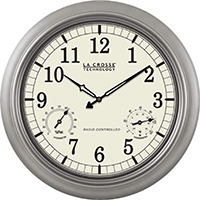 La Crosse Technology's Indoor/Outdoor Wall clock is weather resistant and tracks temperature and humidity. This wall clock features an 18 in. metallic finish frame that easily fits into any large living space. Hang it outdoors to add to decor of a patio or lanai. 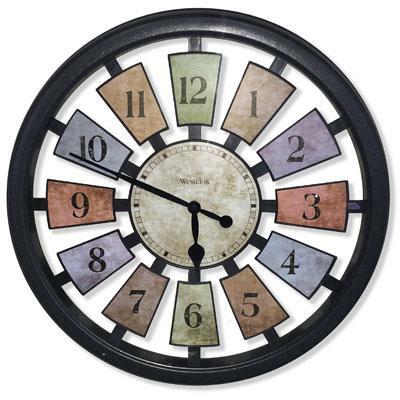 Westclox 18" Kalediscope Wall Clock with separate Number framed colored panels and glass lens. This item cannot be shipped to APO/FPO addresses. Please accept our apologies. 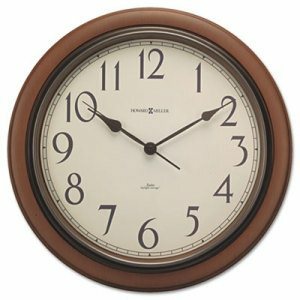 15 inch diameter glass covered clock with tin outer frame features a great rusted, weathered looking finish. Our whimsical licensed 8-inch Christmas Carol Sound Clock features the iconic Coca-Cola ® Santa holding a Coke Bottle while playing with his train, on a colorful dial surrounded by a festive red frame. To help get in the spirit, each hour is announced by one of twelve traditional Christmas Carols. Perfect for wall or desk, using the built-in stand. Light sensor deactivates carols when room is dark. Things Will Go Better With Coke This Holiday Season! First produced in 1999 with over 8 million sold, our Limited Edition 20th Anniversary 8-inch Singing Bird Clock includes twelve beautiful birds and corresponding sounds from some of the most recognized Birds in North America, one at the top of each hour. Framed in Green Matte, this clock features images and high end authentic bird recordings. Detailed packaging provides bird habits and habitat information. Perfect for wall or desk, using the built-in stand. Light sensor deactivates songs when room is dark. First produced in 1999 with over 8 million sold, our Limited Edition 20th Anniversary 13-inch Singing Bird Clock includes twelve beautiful birds and corresponding sounds from some of the most recognized Birds in North America, one at the top of each hour. Framed in Green Matte, this clock features images and high end authentic bird recordings. Detailed packaging provides bird habits and habitat information. Light sensor deactivates songs when room is dark. 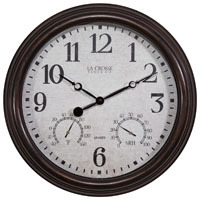 8 inch Clock with green frame features Thomas Kinkade Bridage ofFaith Art and plays Amazing Grace on the hour. 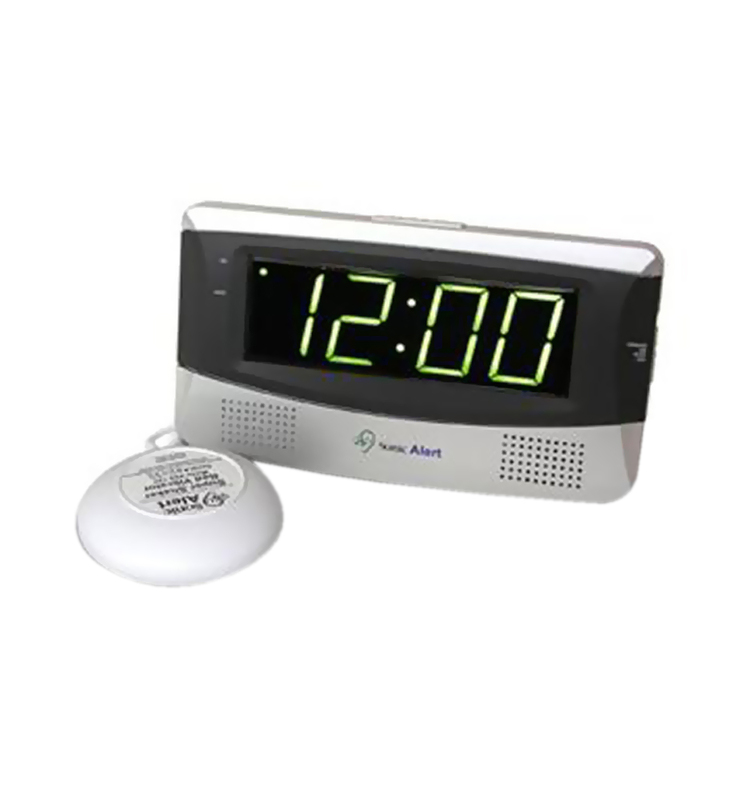 Features light sensor which deactivates sound chip when room is dark. Includes convenient stand for tabletop display. Celebrate the holidays with our timeless 8-inch licensed Christmas Carol Clock as dad trades in his car for a vintage Ford Truck to bring home the family Christmas Tree with help from mans best friend! To get in the mood for the festive occasion, our whimsical clock plays one of twelve traditional Christmas carols at the top of each hour. Perfect for wall or desk, using the built-in stand. 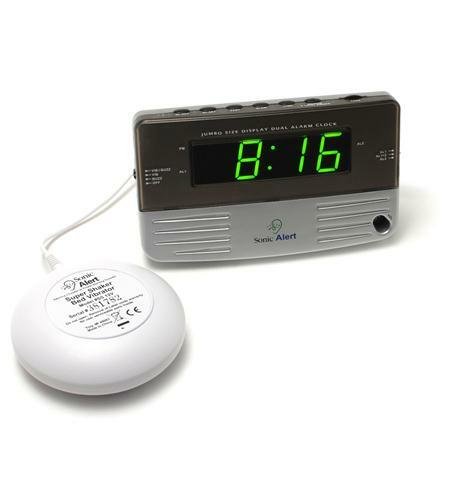 Light sensor deactivates the carols when room is dark. Our whimsical licensed 8-inch Christmas Carol Sound Clock features the iconic Coca-Cola ® Polar Bear and Cub enjoying a bottle of Coke on a colorful dial surrounded by a festive red frame. To help get in the spirit, each hour is announced by one of twelve traditional Christmas Carols. Perfect for wall or desk, using the built-in stand. Light sensor deactivates carols when room is dark. Things Will Go Better With Coke This Holiday Season! First produced in 1997 and brought back for its 15th anniversary, the Original Singing Bird Clock includes beautiful songs from twelve of the most recognized Song Birds in North America, one at the top of each hour. Framed in Green Matte, this clock features images and authentic recordings from Cornell Laboratory of Ornithology. Detailed packaging provides bird habits and habitat information. Perfect for wall or desk, using the built-in stand. Light sensor deactivates songs when room is dark. Licensed History of Ford Trucks 13 inch Sound Clock features twelve legendary Ford Trucks from the origins through the present. As an added bonus, hear one of twelve authentic recordings of these classic trucks at the top of each hour. Light sensor deactivates the sounds when the room is dark. What a great collector's item for Ford enthusiasts!